We all know how easy wizards can be in helping in the set up process of different software. 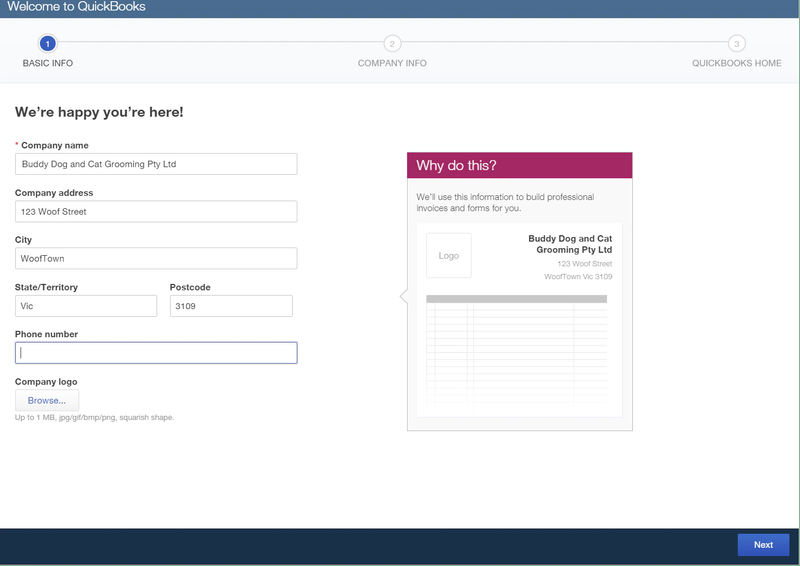 Let’s take a walk through the Easy Step Interview and QuickBooks Online Setup. 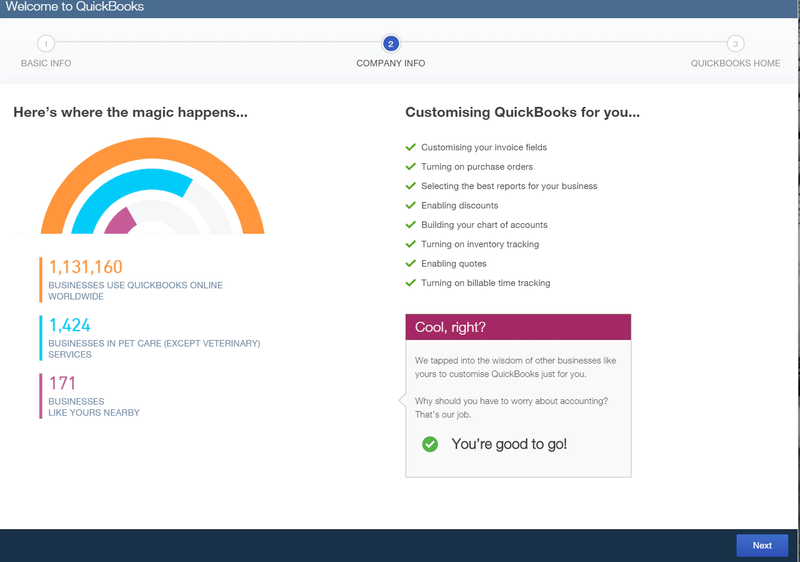 QuickBooks Online works magically behind the scenes and tailors your file to suit your business from the information you have entered. Please note that this is not setting up from a conversion. 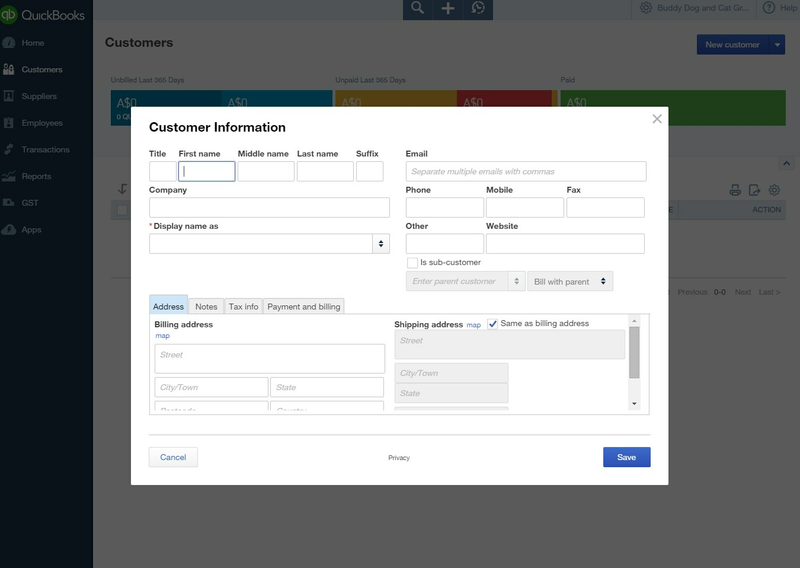 Read our blog about conversion set ups to learn about this process. However, for complete accurate financials for your business you should complete a few more steps. Process of running the wizard is quite simple. Let’s take a walk through the process of running the wizard, to setting up the company file and tailoring to your business requirements. Step 1: Enter basic information required. Click Next. 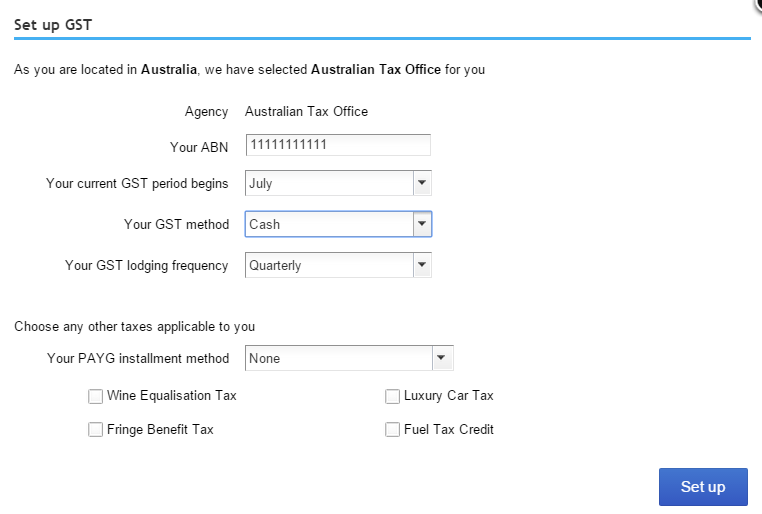 Step 2: Enter in your details. 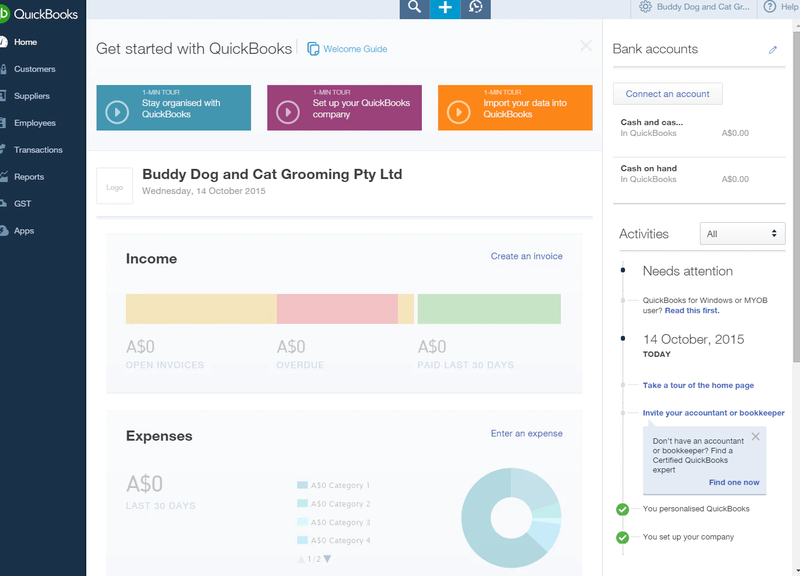 QuickBooks Online does all the work for you based on the information you have just entered. The system commences setup, turning on different features so you don’t have to do a thing. 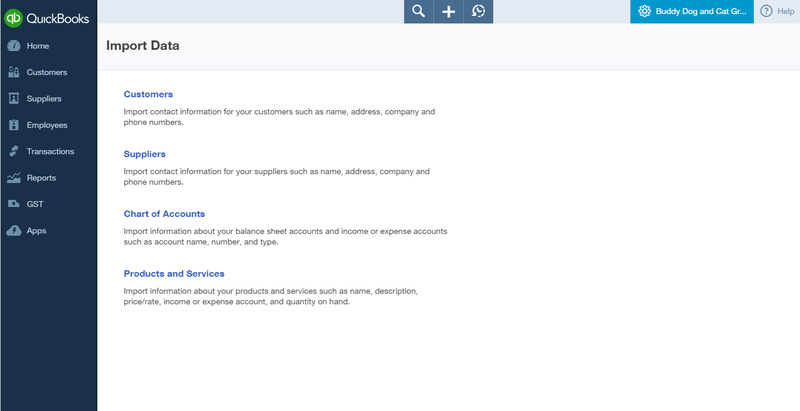 Once QuickBooks Online has worked it’s magic, you will see a list of chosen features that you will use in QuickBooks Online. Don’t be too concerned if it has turned on a feature that you do not want as you can go in and turn this off at any time. 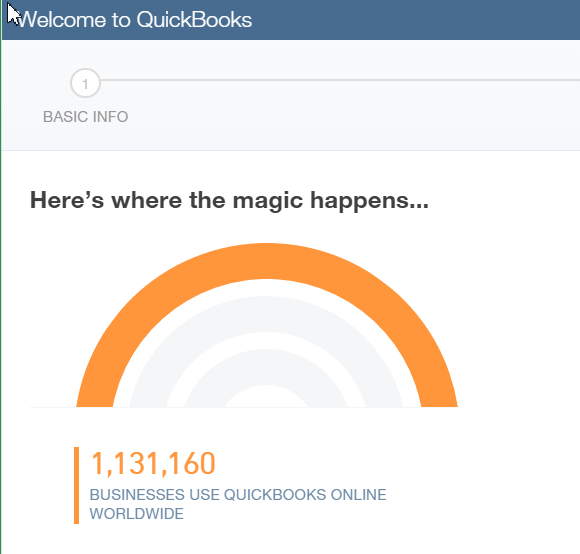 This is what your QuickBooks Online file will look like. If you are registered for GST the process is very simple. If you are not registered please skip this step. 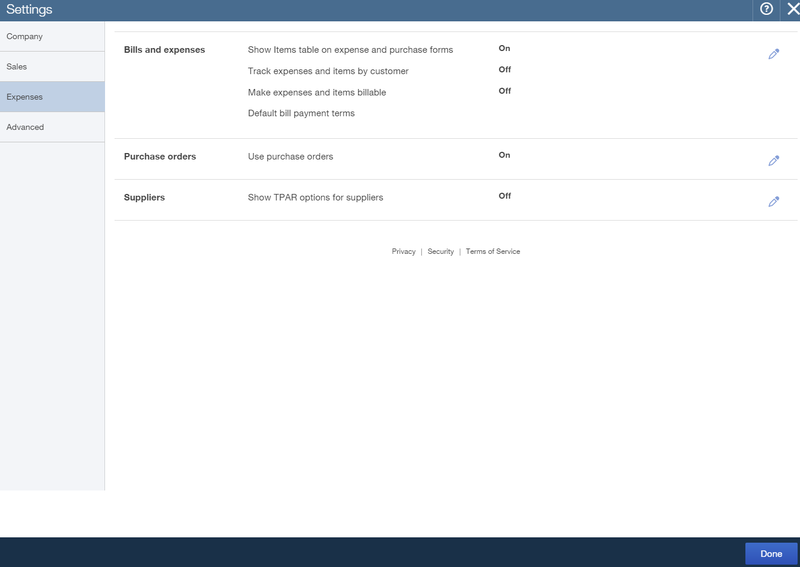 Left hand side navigation bar > GST > Click Setup GST. Now you can start entering transactions. Under the Cogs company preferences menu choose Company Settings. In the Company Settings window you will find four tabs on the left hand side. Each of these sections needs to be tailored to your business requirements. Does your business need classes and/or Locations? 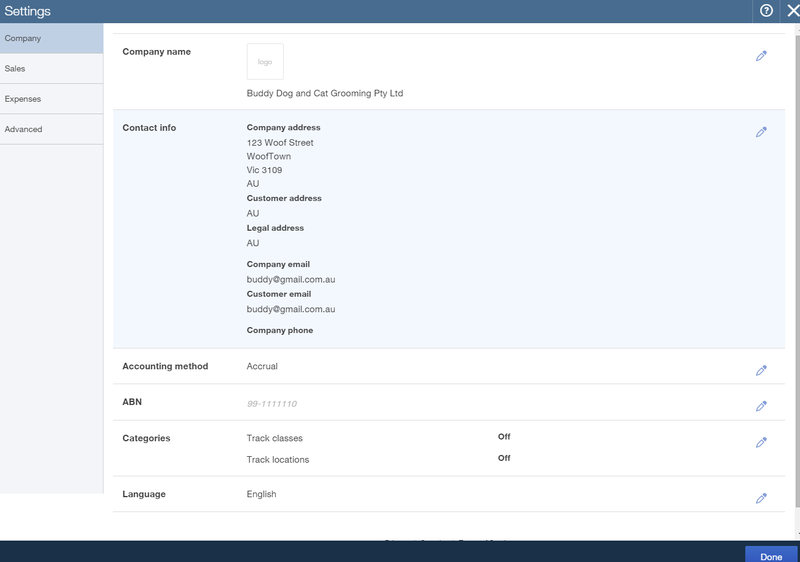 Click the Cog company preferences > Custom Form Styles > Select New Style or Edit . You can choose which template you prefer. 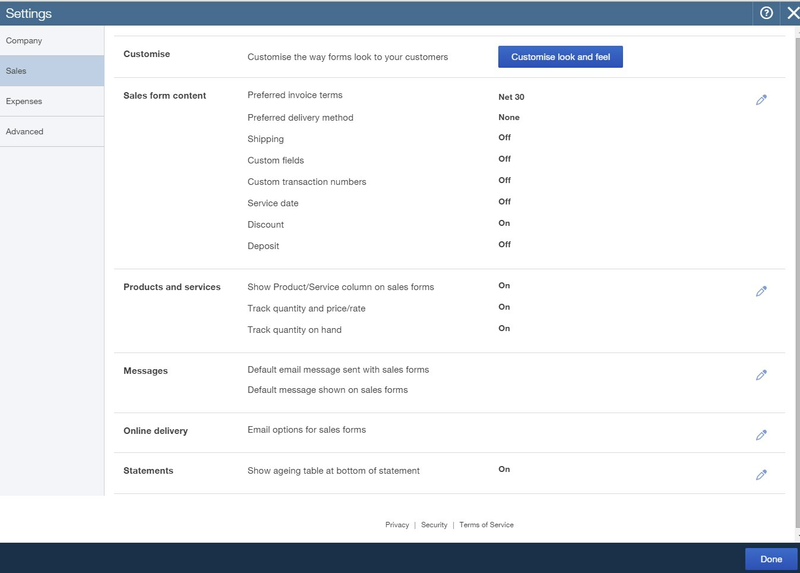 Work down the list of Style, Appearance, Header, Activity Table and Footer to tailor your preferences. 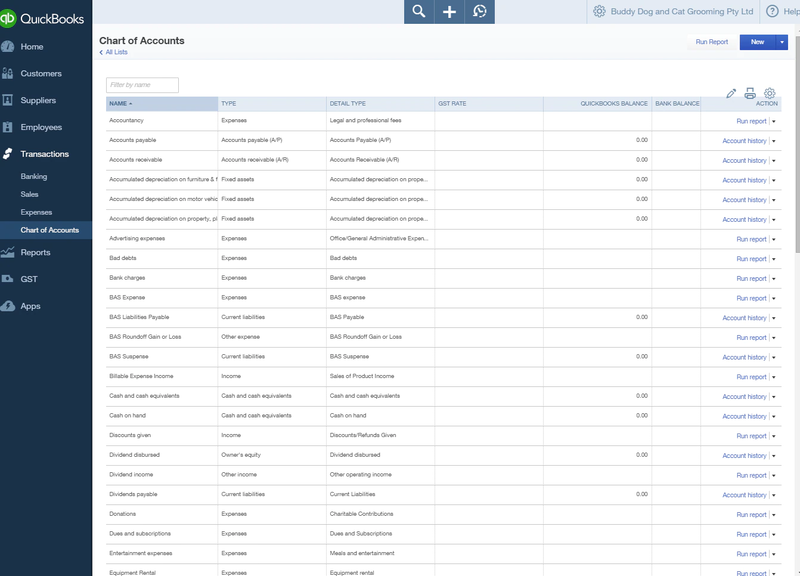 Click the Cog company preferences > Chart of Accounts. This is the accounts set up for your industry. Edit and add as you like. 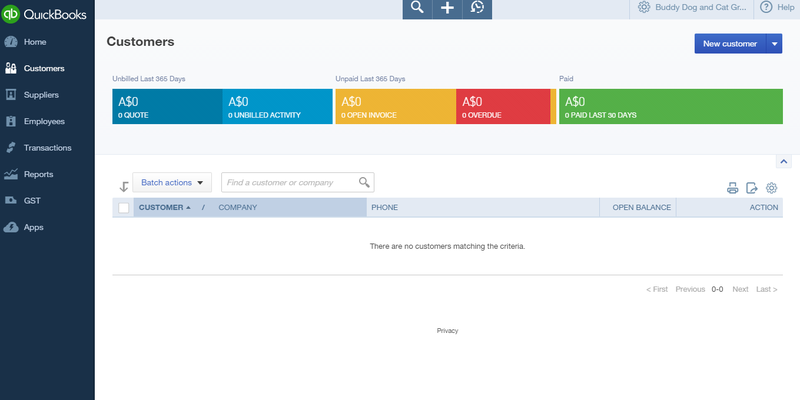 Click the Cog company preferences > Products and Services. Add your services or inventory. Make sure you choose the correct income account for that product or service. Click the Cog company preferences > Manage Users. 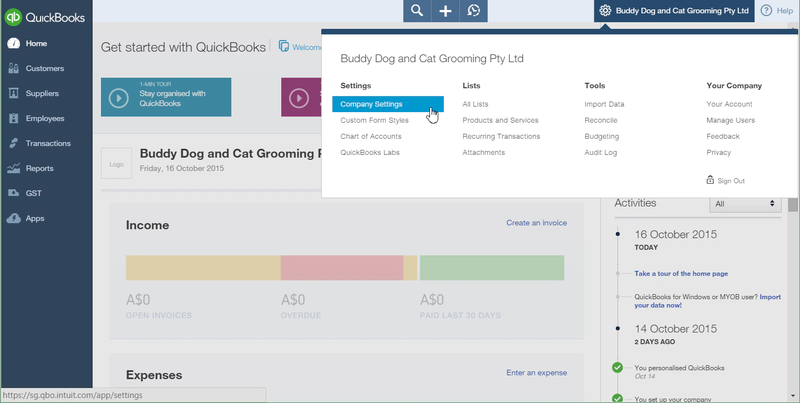 Add your accountant or bookkeeper, and even your staff. Click Transactions > Banking. 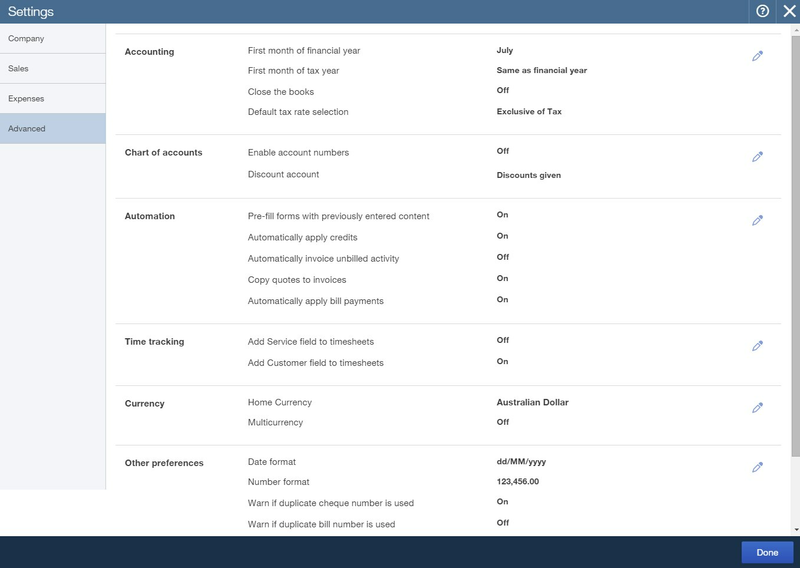 Add bank accounts and credit cards to your file for online banking feeds. Setup bank rules. 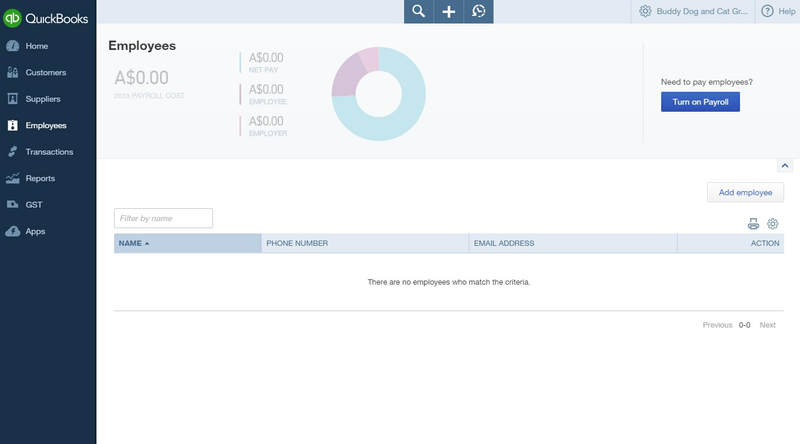 Click Employees > Turn on payroll if required. 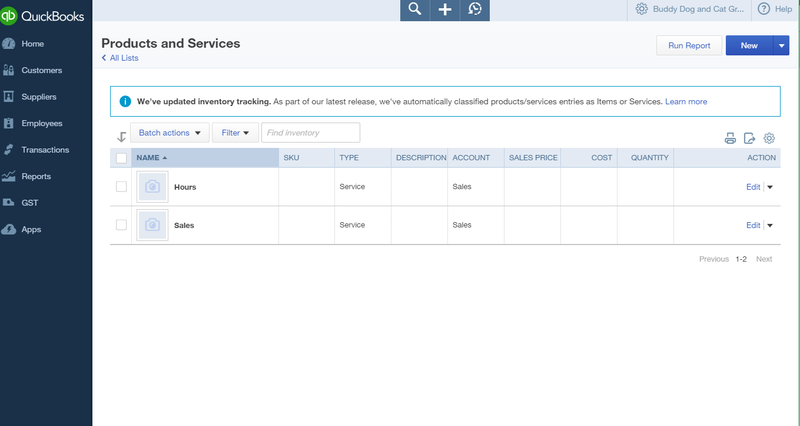 You can import your Customers, Suppliers, Chart Of Accounts and Products and Services if you have a different software that you are moving from. Click the Cog company preferences > Tools > Import Data. 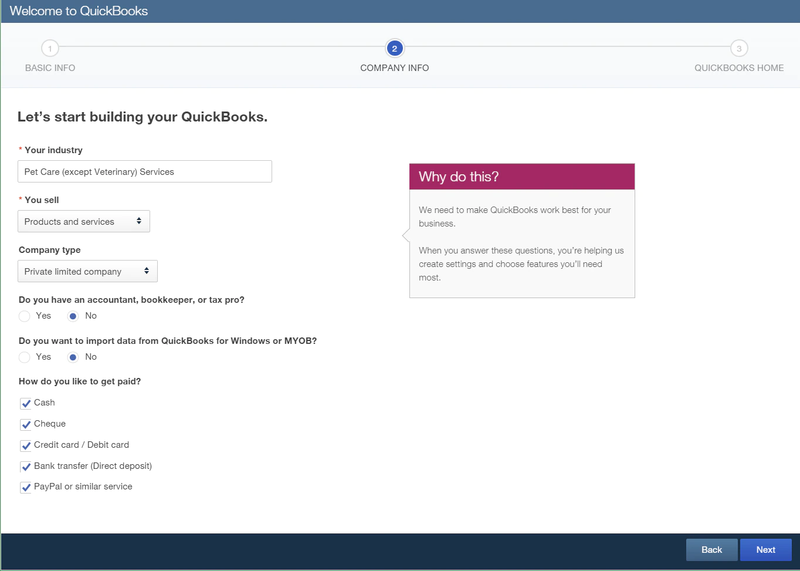 Setting up QuickBooks Online correctly from the beginning is essential as it will save you time, money, and importantly, allows QuickBooks Online to do work for you. 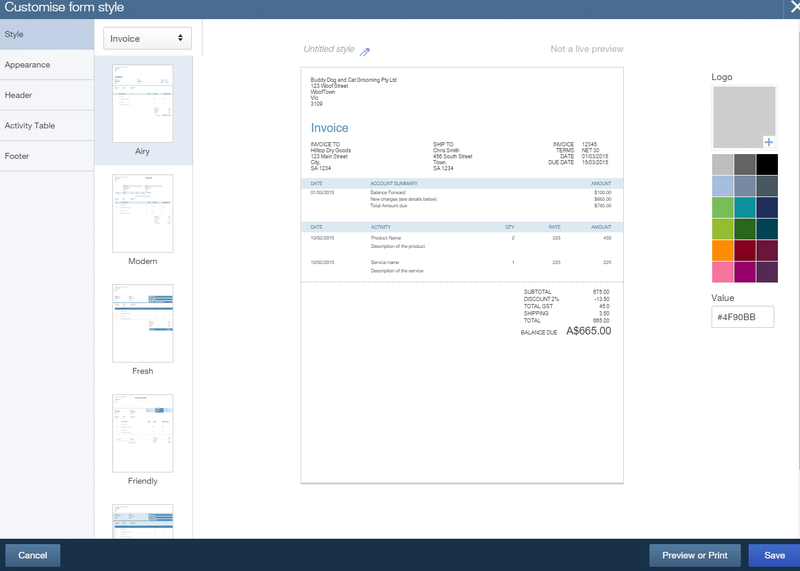 The right setup will help you to have accurate financials, allowing you make important business decisions.